Want to be notified of new releases in SanderSade/DirLister? 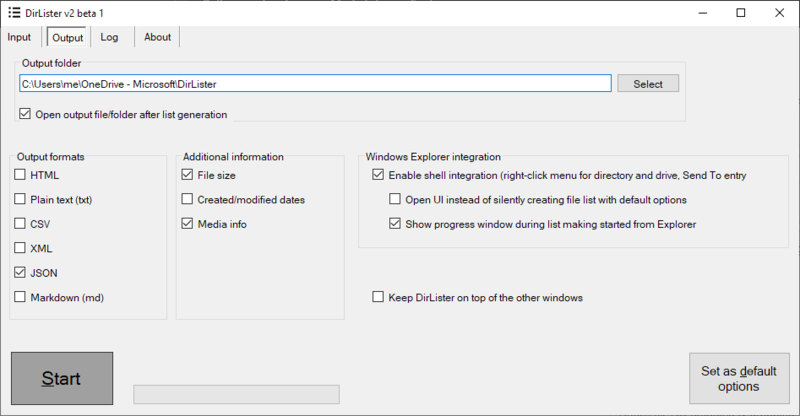 Shell integration - can be run from right-click menu for folders and drives, with or without opening UI. 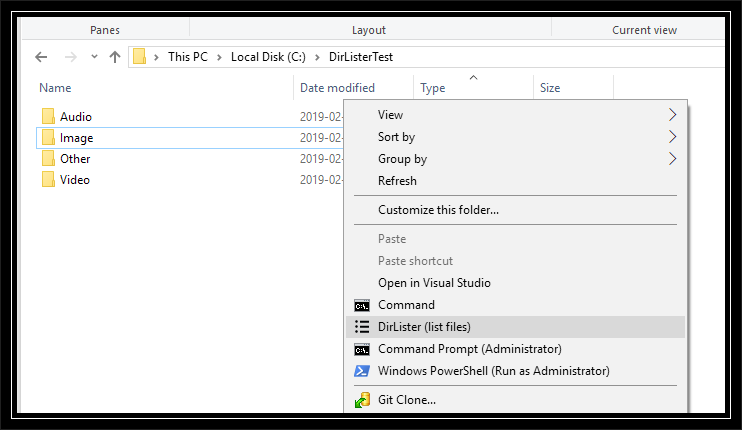 Use Sent To --> DirLister to create a list of multiple folders directly from Explorer. During the initial beta testing, only the portable version is available. While most of the preferences can be set from UI, there are some advanced options that are available only by manually editing the configuration file (user.config). EnableMultithreading - True/False, defaults to False. Set to true to enable multi-threading for file info gathering and media processing. Should never be enabled for regular hard drives, as it will cause HDD trashing and slow down list creation. Can speed up processing on SSDs. DateFormat - date/time output format for output. Defaults to yyyy-MM-dd HH:mm:ss (ISO 8601). See https://docs.microsoft.com/en-us/dotnet/standard/base-types/custom-date-and-time-format-strings for options. CssFile - specify custom CSS file to include to HTML output instead of the default CSS. 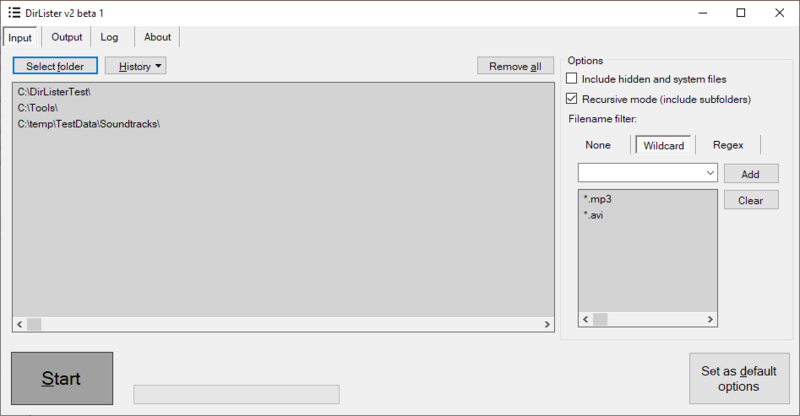 This is fullpath filename, not CSS content - and ignored if the file doesn't exist. Code from taglib#, licensed under GNU Lesser General Public License v2.1. Heavily modified.